Squid / Calamari/ kanava is a very tasty and popular food which is prepared in different ways and recipes around the world. Fried squid / fried calamari is the most common recipe. I think this is my fifth recipe with squid. This spicy fried calamari recipe is a typical Kerala cuisine and is named as spicy koonthal masala fry / Kerala squid fry. I love to follow the traditional recipe with squid, as those squid dishes give me a nostalgic taste always. Stuffed squid / stuffed calamari was my favorite snack along with a hot black tea when I was at my home. My mom is an expert in making stuffed squid as she often prepares this squid recipe whenever it is available. This calamari recipe tastes heavenly delicious too. Squid is a staple in seafood restaurants. It is served as a starter or street food, side dish and snack. This recipe for squid is quite simple and humble. You can make this tasty chewy Indian fish recipe within minutes. As this recipe calls for simple ingredients in our pantry, I prefer this recipe more often. 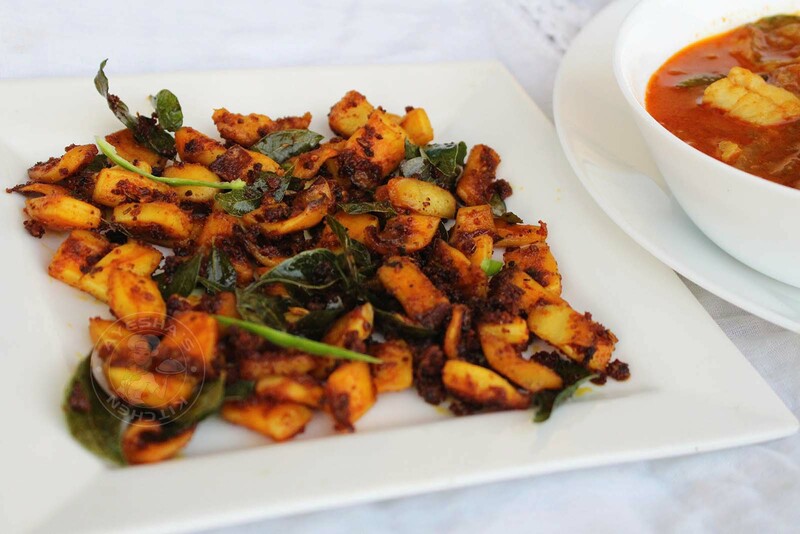 Just try this fried calamari recipe, serve this with some hot steamed rice and make your lunch memorable with this spicy treat. 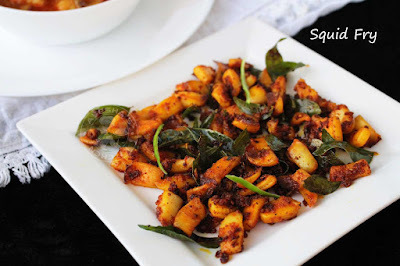 So here is the recipe for how to make fried calamari/seafood dinner ideas/seafood lunch/seafood menu ideas/squid fry recipe / easy seafood recipes/seafood dinner meals. Clean the squid and cut it into cubes. Drain it and set aside. Make a paste of garlic cloves, turmeric powder, Kashmiri chili powder, fennel seeds, lemon juice and salt. Make a fine paste. Marinate the squid cubes with this marinade and set aside for half an hour. Heat oil in a pan (about 2 tbsp). 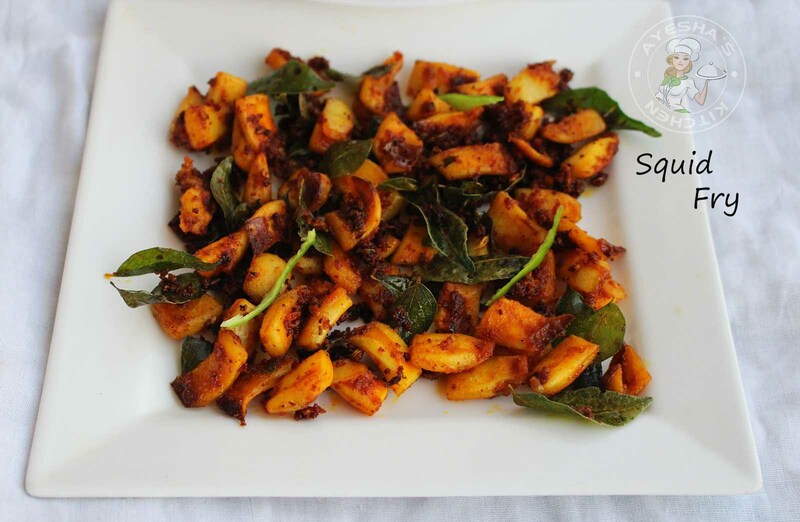 Add this marinated squid along with some curry leaves. Fry until golden brown on both sides over a medium flame. (Do not cook over a high flame as it will leave the squid uncooked) .